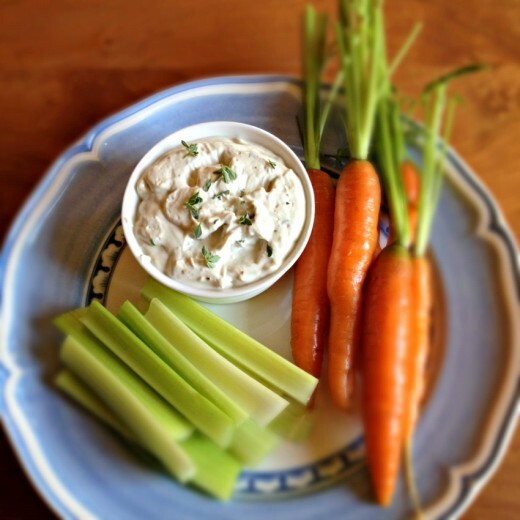 Mmmmm, blue cheese dip, my boyfriend is going to love this recipe. It’s funny, but in Ireland, noone says refrigerator and it would be very odd if someone started calling the fridge a refrigerator. I’ll have to try this, it sounds real tasty. I need a good blue cheese dip. My hubby doesn’t like blue cheese. Such a shame, I will have to eat it all myself. I don’t tend to like the word foodie only because it implies that I’m pickier than I am (although in reality I am way pickier than I THINK I am)…but I use fridge and veggies with reckless abandon. ANd so should you. :) I’ve heard a lot about smoked blue cheese recently and I think I need to find it! Smoked blue cheese sounds like it would make this so unique and delicious. Smoked blue cheese – sounds intriguing. This looks yummy. And I always say fridge and veggies. Hmmm or should I say YUM! Another word that “foodies” frown upon. I, kind of quit caring, a few years ago about what the foodie blog police had to say. Sometimes it is just easier (quicker) for me to type fridge, veggies, etc…. so I just do. I think people come to your (ours) sites because of the realism. Like this dip. WOW, isn’t smoked blue just about one of god’s greatest creations. I discovered it a couple months ago, after eating it all by myself. OY! Hi, It looks yummy and mouthwatering.i tried this at home , my family and lid loved it. Thanks for this good posting.Your description is very nice any one can follow easily. All the best keep posting………. I don’t mind any of those words–my gramma called it a fridge, so it seems normal. Veggies I’ve had to warm up to over the last few years–now it seems to make them sound tastier and more friendly! I wasn’t thinking about dip at all till I saw that pic–now I WANT some!